The Zacatecas Mexico Secretary of Culture developed a sculpture workshop a year ago in a large space above its own office installations. With individual artist workshops as well as commissions and programs for the public its creative productive atmosphere overlooking the colonial city and mountains is a great place to visit and work. With a bronze foundry and materials such as stone, granite, marble and whatever artists who have not yet had the 3 dimensional experience check out this aspect of creative work. In this video we meet some of the participants and watch them work. 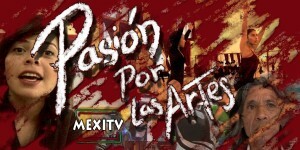 Foreign TV, the Mexican parent company of mexitv.com, produces the TV series Pasion por las Artes. Here are some exerpts, and contact us here or at www.tvforeign.com to include your project and ideas.